Warning: the Economy is Contracting... and Corporate Profits Have Peaked. The economy is slowing and corporate profits have peaked. Rather than looking at highly massaged government data, let’s take a look at how companies, whose job it is to maximize their returns, are faring. In the last month, Apple, Samsung, LG, Fed Ex, Johnson & Johnson, Nautilus, Tesla, Tailored Brands, Signet Jewelers, Delta, Skyworks, Macy’s, Kohl’s, and American Airlines have all lowered forward guidance. So you’ve got airlines, big tech, healthcare, and consumer discretionary companies ALL suggesting that the economy is not faring as well as the data suggests. This is not an isolated issue. The economy is contracting. 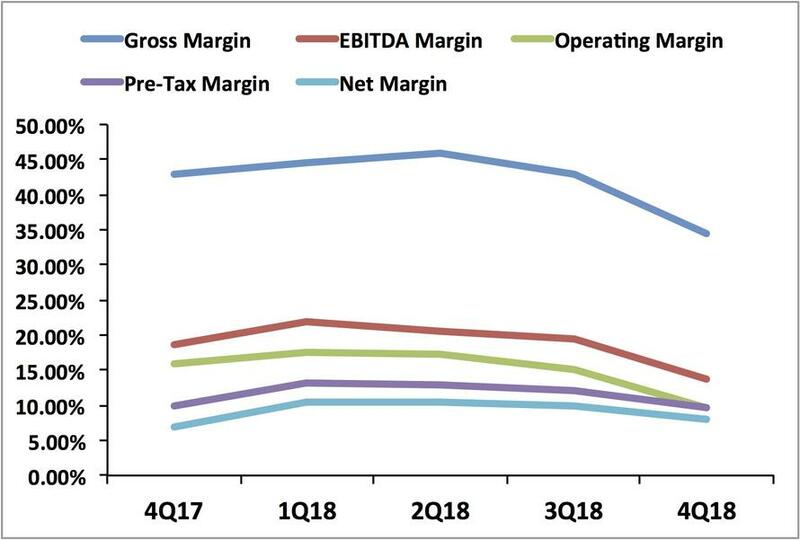 On top of this, corporate margins have peaked. Take a look at the last four quarters. The trend is obvious. So against this backdrop of economic weakness and declining corporate profit margins, stocks are supposedly entering a new bull market and will make a run to new all-time highs? The odds of this are less than 5%. 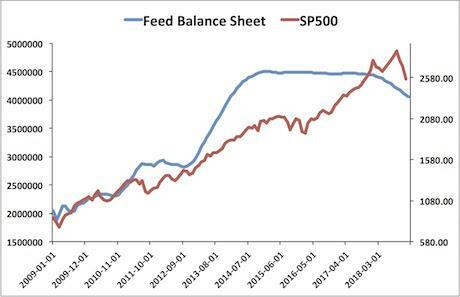 And when you throw in the fact that the Fed is still tightening and has yet to slow the pace of its balance sheet reduction, it’s outright IMPOSSIBLE.